As we enter the last months of 2016, I felt I needed to do a post on those horses who have passed this year. It has been a very hard year for those of us who follow the horses. 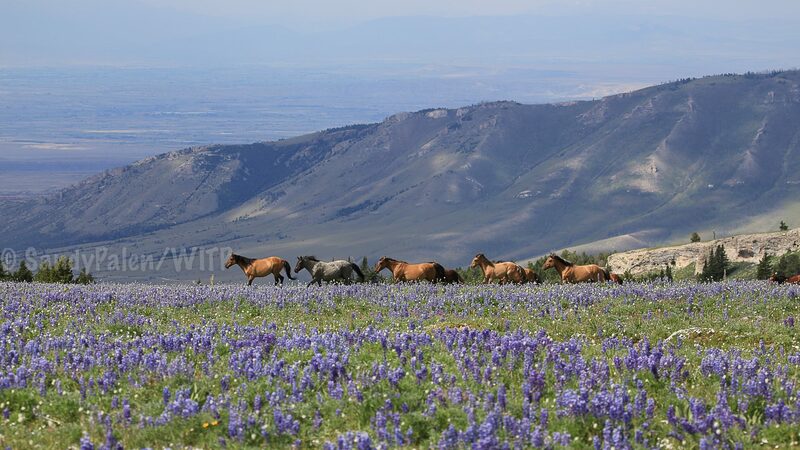 We have lost some very significant members of the Pryor Mountain Wild Horse Herd. They are and will continue to be missed by all of us. I found myself looking through more than 30,000 photos that I have taken over the years, trying to find the best photos of each of these horses, something that would give us all a great memory when we hear their name mentioned in the future. Below are the photos of those that are no longer with us, listed in alphabetical order. 1. Cloud, born in 1995, son of Raven and Phoenix. Last seen in November of 2015. What can I say about Cloud? Wow, this has left a giant hole on the mountain for all of us. I found myself still expecting him to walk out of the trees by my camp, something he did often, especially in the evenings. I have had many guest sit and enjoy his presence in the light of the sunset. It was heartbreaking to witness him loss his band and watch from a distance, clearly in emotional pain of his loss. He was not one of those stallions who excepted his second bachelorhood with grace. His family was his life, and the pain of it slowly took his away. I will miss him, and I don’t believe there will be a single trip that I make to the mountain, that I won’t think of him and all the joy he brought to so many. He will continue to live on with his offspring and his memory. 2. Coronado, born in 1996, son of Raven and Isabella. Last seen in November 2015 with Cloud. He was also known as Red Raven by many, Coronado was an amazing and caring stallion. He lost his band in July of 2014 to the stallion Irial. He was another stallion who did not take kindly to a second bachelorhood. For days after he lost his band ( I was there to witness it), he stood alone, barely eating or drinking. He finally tried to move on, often seen with Cloud in the summer of 2015, but in the end, he too disappeared without a trace. 3. Durango, born in 1995, son of Guinvere and Lancelot. I believe the last time he was seen was in the fall of 2015. Born in the Dryhead portion of the range, I was fortunate to be able to see him many times. His coat was an apricot, dun, roan, and his missing half-ear and white ring on his neck (in later years), made him easy to identify. I am sorry I did not get to spend more time with him, but feel lucky have known him. 4. Merlin, born in 1997, son of Guinvere and Lancelot. He was a beautiful Grullo stallion, living in the Dryhead, and produced some of the finest examples of the Pryor Herd known. I was particular fond of him because he is the sire of my Valerosa, who I adopted in 2009. (Valerosa is now living with my good friend Jeanne). Merlin survived many wounds, and turned up a few times when some of us thought he may be gone. A couple of these photos are from Laura Curtis. Laura really loved Merlin, and I felt she took some of the best photos of him I have seen. Thank you Laura for letting me use these. 5. Sitting Bull, born in 1996 to Guinvere and Lancelot. I believe he was last seen in the spring of 2016. Sitting Bull was once discribed to me as one of the wildest stallions in the Pryors, and he most certainly lived up to that discription. He lived in the Dryhead and kept out of sight for most of his life. He prefered to live with his band, in the lower Sykes area, away from most people and other horses. Every time I saw him, I considered it a rare gift, and felt very privileged with each sighting. 6. Quest, born in the spring of 2016, son of Hataali and Morning Star, he did not live very long. Cause of death was never known. The photo below was taken by NPS Bill Picket. 7. Quietstorm, daughter of Firestorm and Doc. Born in the early morning of July 14, 2016, right near my campsite. This little one was discovered by my friend Liz, shortly after I left to head down the mountain. She was a beautiful little filly and very much loved by her band, especially her brother Okomi. She disapeared in late September, cause of death is unknown. The beautiful photos below were taken by Anh, I thought they captured her personality beautifully. 8. Quicksilver, son of Audubon and Hamlet, born in mid September, 2016, he disappeared in late September, early October 2016. Cause of death is unknown. The below photo was taken by Jack Sterling. 9. Winnemucca, born in 1987, daughter of Black Star and Konik. Winnemucca lived to the age of 29, and with that, became the oldest every known Pryor Horse to survive on the range. She died the end mid-end of September, 2016. You can read more about her in the post I did on her this past spring. Click on Winnemucca to read it. She was an amazing mare, and will be very missed. There is one last horse that I am going to list here. It is a bit early to really make a call on him, but I am publishing these photos in hopes that it will bring attention to him, and perhaps someone will go up on the mountain and see him and let us all know. He was last seen in early-mid September. Fiesta, born in 2005, son of Phoenix and Teton. He has been with the stallion Horizon for years. Early on as two bachelors, and then in the past several years, he has acted as a very devoted Sattelite Stallion. He was the big protector, the one who would step up and fight to protect his little band from whatever and whom ever he saw as a threat. It is very unusual and odd that he is not with them, and I am worried. I hope and pray he shows up soon and gives us all some peace. I love this horse, I can’t imagine the mountain without him. Fiesta has made me smile and laugh so many times, I can’t begin to count them. If anyone spots him, please let me know. This year has been a year of loss. I believe this is the largest loss of horses since the winter of 2010-2011, when 15 horses died. Next year we will have new life once again to the mountain, the birth of the new foals will help ease the pain of the ones that will no longer be there. But these horses and the others that have pasted before them, will not be forgot, their spirits will continue to live on in one of the most beautiful places on earth. Rest in Peace dear wild ones, I am sure you are looking down and protecting the ones that you love. Cloud and his son Mica, summer of 2015.